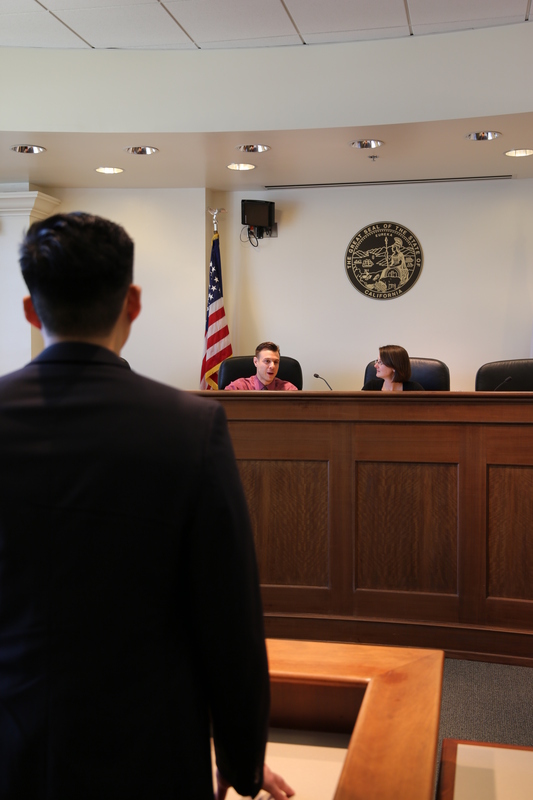 Chapman’s Moot Court Competition Board offers selected students the opportunity to develop oral and written advocacy skills learned in the classroom by applying them in simulated arguments before the Supreme Court. Each spring, all 1L students participate in a competition where the top oralists are invited to become members of the Board. Local judges, prominent attorneys, legal scholars, and Board members serve as judges. In the fall, the Board conducts an in-house competition for 2Ls where additional students may earn a place on the team. Membership on the Board provides an excellent opportunity for elite students to test their advocacy skills. As Board members, students are eligible to represent their school in regional and national competitions. 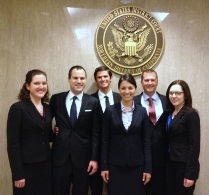 Chapman team members receive academic credit for the time, effort, and commitment required to prepare successful briefs and oral presentations. Each team researches an assigned issue, composes and refines a written brief, and polishes its oral presentation through numerous practice rounds judged by faculty and fellow Board members. Participation on the Board fosters a sense of accomplishment, teamwork, and school pride. 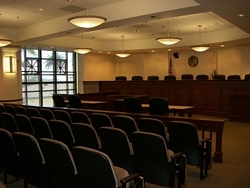 Recent unprecedented success is evidence of Chapman’s growing reputation as a Moot Court powerhouse. Teams have earned a multitude of awards from around the country.